Click here to read the Redditch STARS club constitution. 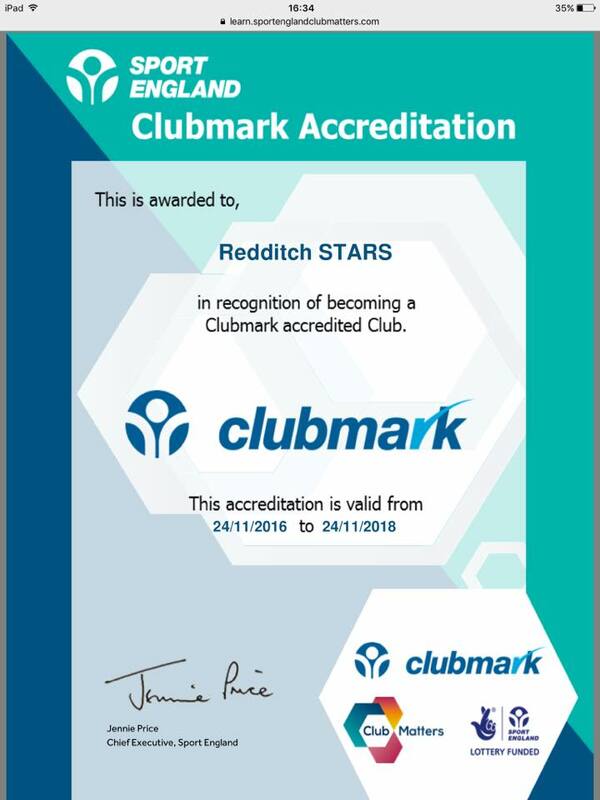 Redditch STARS as proud to be a Clubmark accredited club. Click here to see out certificate. Please read club constitution, bye laws, policy on young athletes and the health and safety/risk assessments prior to submitting your application. Click here to read the club bylaws to ensure you are fully aware of the contents and what it means to you as a member. click here to read the club code of conduct for Coaches and Athletes.